Everybody knows the essentials of home decor such as beds, tables, and wall units for the TV, but there are some neat home decor accessories that are just plain fun! Its not that you cannot live without them, they simply make your life easier, and certainly different from the neighbor's home accessories. 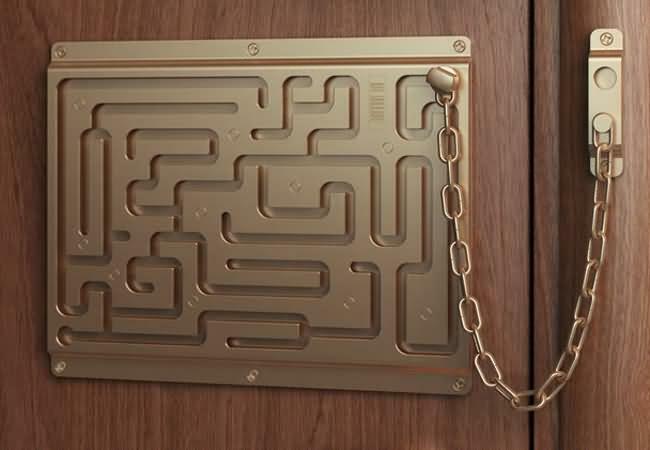 The toughest security lock there is. You must solve the labyrinth in order to open the lock. This innovative lock is designed by famous Art Lebedev Studio. Arrange sewing seams along borders and corners to create humorous, artful designs nearly anywhere you can imagine. By adding WallStickers to walls, ceilings, furniture, windows, mirrors and more, you instantly create a unique look and change the style and atmosphere in a room. The Knife Hooks are designed by TC Studio. 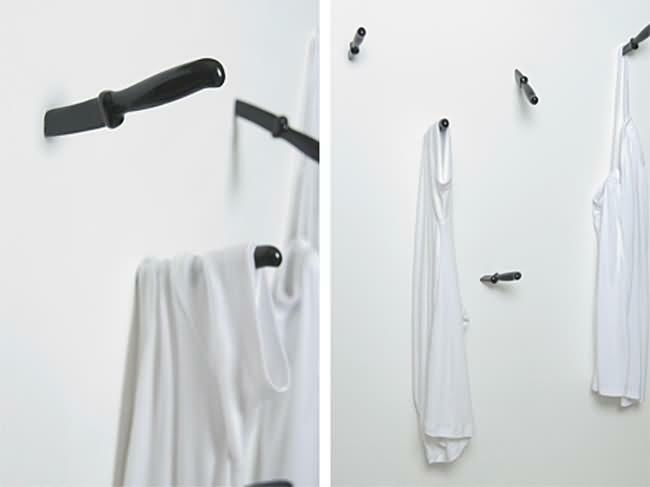 The Knife Hooks are easy to install, simply screw the hooks into the wall and you'll have a very funny way to hang your clothes. 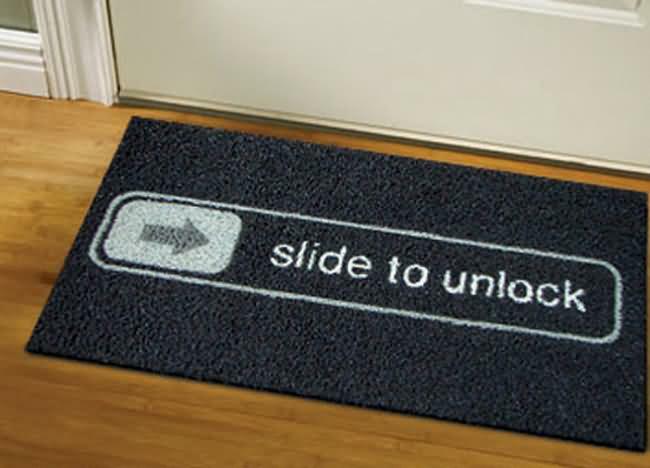 This fun and super geek doormat comes with the famous inscription inspired by iPhone "Slide to Unlock", nothing better to place in front of your door. If you slide your feet across this doormat, it will open your door! OK, it's not true, but even without this interactived still very cool. 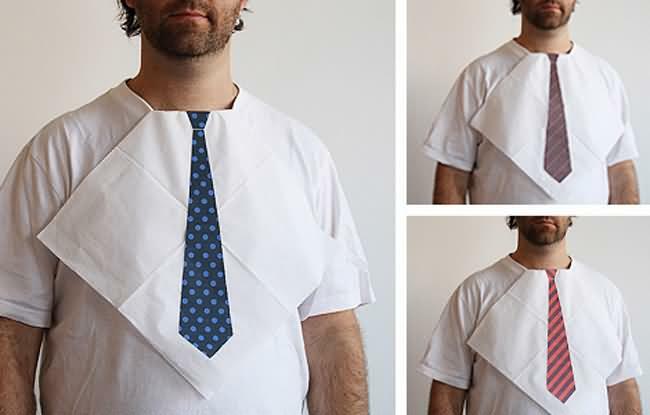 Even if the guy's dressed in his favorite old white tee shirt, with this napkin at his neck he'll actually look like he made the effort to get dressed for dinner. A great conversation piece at any party. This is one of those great ideas that makes you wonder why it took so long for someone to come up with it. 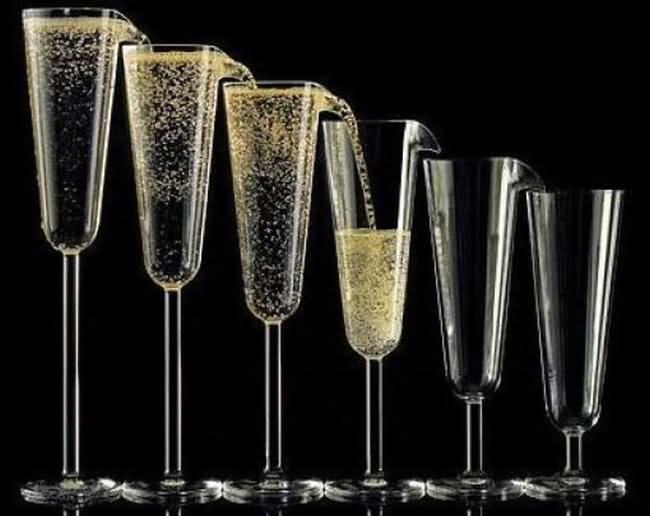 Each stem in the 6-glass set is shorter than the one before, allowing you to start at the top and evenly share a bottle of bubbly with just one pour. 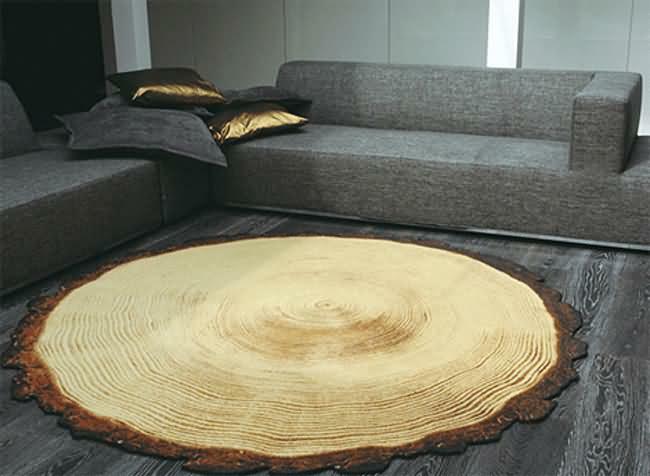 Woody Wood by Yvette Laduk is a round carpet with a print of cross-section of a tree. The Laduk-rug is made of strong material, used in the contract market and is made to last. The rug's border is cut, burned and sprayed � making this a long-lasting natural beauty. Here is a muti-functional stairway. It is a good idea that leave us wondering - why didn't think of this first! 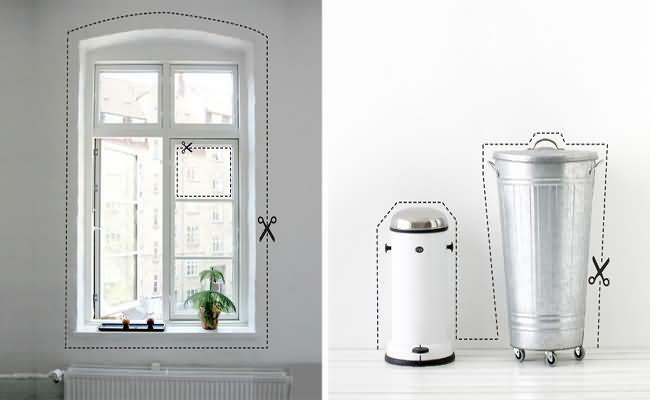 What a great way to utilize a generally overlooked space! 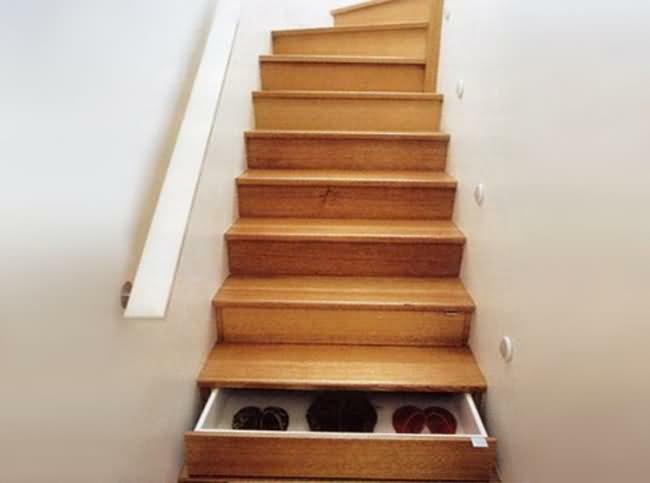 Step and store in style, using each step as storage for a different item- everything from socks and shoes to books and, well, junk. I love this deisgn, they are beautiful and cool coat hangers. If you worry they will cut your garments? 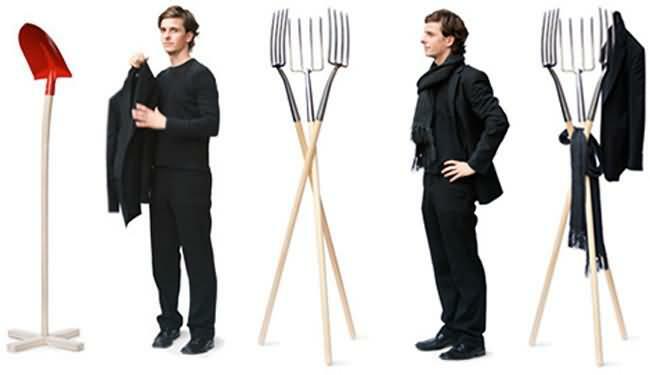 What a waste to use a pitchfork only for garden work. When a few are skillfully combined, they make a very graceful coat stand. The rounded prong tips prevent any damage to garments. What better way to do so than to squirt this extremely gross looking green nose gel out of the nostril of this nose? Simply push on the right nostril and your green gel will ooze right out. Kids will love it, your hubby will find it hilarious and the best part is that everyone will enjoy getting clean.